Katharine Sophie Viner is a British journalist and playwright. She became the first female editor-in-chief at The Guardian on 1 June 2015 succeeding Alan Rusbridger. Viner previously headed The Guardian's web operations in Australia and the United States, before being selected for the editor-in-chief's position. Ipsos MORI is a market research company in the United Kingdom. It was formed by a merger of Ipsos UK and MORI, in October 2005. Ipsos MORI conduct surveys for a wide range of major organisations as well as other market research agencies. In journalism, a scoop or exclusive is an item of news reported by one journalist or news organization before others, and of exceptional originality, importance, surprise, excitement, or secrecy. On 21 March 2002, Amanda Jane"Milly"Dowler, a 13-year-old English schoolgirl, was reported missing by her parents after failing to return home from school and not being seen since walking along Station Avenue in Walton-on-Thames, Surrey, that afternoon. Following an extensive search for her, her remains were discovered in Yateley Heath Woods in Yateley, Hampshire, on 18 September. John Edward Taylor was an English business tycoon, editor and publisher, who was the founder of the Manchester Guardian newspaper in 1821, which was renamed in 1959 The Guardian. The Little Circle was a Manchester-based group of Non-conformist Liberals who held a common agenda with regards to political and social reform. The first group met from 1815 onwards to reform political representation and gain social reform in the United Kingdom. The second group operated from 1830 onwards and was key in creating the popularist movement that resulted in the Reform Act 1832. Jeremiah Garnett (1793–1870) was an English journalist, active in the politics of London and the founding of The Manchester Guardian alongside his nephew Anthony Garnett. Traditionally affiliated with the centrist to centre-left Liberal Party, and with a northern, non-conformist circulation base, the paper earned a national reputation and the respect of the left during the Spanish Civil War (1936–1939). George Orwell writes in Homage to Catalonia (1938): "Of our larger papers, the Manchester Guardian is the only one that leaves me with an increased respect for its honesty". With the pro-Liberal News Chronicle , the Labour-supporting Daily Herald , the Communist Party's Daily Worker and several Sunday and weekly papers, it supported the Republican government against General Francisco Franco's insurgent nationalists. In June 2013, the newspaper broke news of the secret collection of Verizon telephone records held by Barack Obama's administration  and subsequently revealed the existence of the PRISM surveillance program after it was leaked to the paper by former NSA contractor Edward Snowden. The newspaper was subsequently contacted by the British government's Cabinet Secretary, Sir Jeremy Heywood, under instruction from Prime Minister David Cameron and Deputy Prime Minister Nick Clegg, who ordered that the hard drives containing the information be destroyed. The Guardian's offices were then visited in July by agents from the UK's GCHQ, who supervised the destruction of the hard drives containing information acquired from Snowden. In June 2014 The Register reported that the information the government sought to suppress by destroying the hard drives related to the location of a "beyond top secret" internet monitoring base in Seeb, Oman, and the close involvement of BT and Cable & Wireless in intercepting internet communications. Julian Assange criticised the newspaper for not publishing the entirety of the content when it had the chance. The Guardian enquiry later continued because the information had already been copied outside the United Kingdom, earning the newspaper a Pulitzer Prize. The Guardian is part of the Guardian Media Group (GMG) of newspapers, radio stations and print media including; The Observer Sunday newspaper, The Guardian Weekly international newspaper, and new media—Guardian Abroad website, and guardian.co.uk . All the aforementioned were owned by The Scott Trust , a charitable foundation existing between 1936 and 2008, which aimed to ensure the paper's editorial independence in perpetuity, maintaining its financial health to ensure it did not become vulnerable to take overs by for-profit media groups. At the beginning of October 2008, the Scott Trust's assets were transferred to a new limited company, The Scott Trust Limited, with the intention being that the original trust would be wound up. Dame Liz Forgan, chair of the Scott Trust, reassured staff that the purposes of the new company remained the same as under the previous arrangements. The Guardian's ownership by the Scott Trust is probably a factor in its being the only British national daily to conduct (since 2003) an annual social, ethical and environmental audit in which it examines, under the scrutiny of an independent external auditor, its own behaviour as a company. 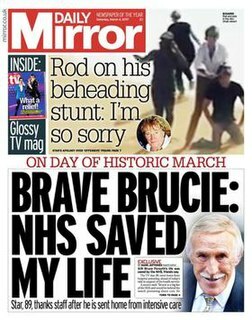 It is also the only British national daily newspaper to employ an internal ombudsman (called the "readers' editor") to handle complaints and corrections. The Guardian has been consistently loss-making. The National Newspaper division of GMG, which also includes The Observer, reported operating losses of £49.9m in 2006, up from £18.6m in 2005. The paper was therefore heavily dependent on cross-subsidisation from profitable companies within the group. Founded by textile traders and merchants, in its early years The Guardian had a reputation as "an organ of the middle class",  or in the words of C. P. Scott's son Ted, "a paper that will remain bourgeois to the last". Associated at first with the Little Circle and hence with classical liberalism as expressed by the Whigs and later by the Liberal Party, its political orientation underwent a decisive change after World War II, leading to a gradual alignment with Labour and the political left in general. Then Guardian features editor Ian Katz asserted in 2004 that "it is no secret we are a centre-left newspaper". In 2008, Guardian columnist Jackie Ashley said that editorial contributors were a mix of "right-of-centre libertarians, greens, Blairites, Brownites, Labourite but less enthusiastic Brownites, etc," and that the newspaper was "clearly left of centre and vaguely progressive". She also said that "you can be absolutely certain that come the next general election, The Guardian's stance will not be dictated by the editor, still less any foreign proprietor (it helps that there isn't one) but will be the result of vigorous debate within the paper". The paper's comment and opinion pages, though often written by centre-left contributors such as Polly Toynbee, have allowed some space for right-of-centre voices such as Sir Max Hastings and Michael Gove. Since an editorial in 2000, The Guardian has favoured abolition of the British monarchy. "I write for the Guardian," said Max Hastings in 2005,  "because it is read by the new establishment," reflecting the paper's then-growing influence. In the 2015 Labour Party leadership election, The Guardian supported Yvette Cooper and was critical of left-winger Jeremy Corbyn, the successful candidate. These positions were criticised by the Morning Star , which accused The Guardian of being conservative. Although the majority of political columnists in The Guardian were against Corbyn winning, Owen Jones, Seumas Milne, and George Monbiot wrote supportive articles about him. The first edition was published on 5 May 1821,  at which time The Guardian was a weekly, published on Saturdays and costing 7d; the stamp duty on newspapers (4d per sheet) forced the price up so high that it was uneconomic to publish more frequently. When the stamp duty was cut in 1836, The Guardian added a Wednesday edition and with the abolition of the tax in 1855 it became a daily paper costing 2d. Its international weekly edition is now titled The Guardian Weekly, though it retained the title Manchester Guardian Weekly for some years after the home edition had moved to London. It includes sections from a number of other internationally significant newspapers of a somewhat left-of-centre inclination, including Le Monde and The Washington Post . The Guardian Weekly was also linked to a website for expatriates, Guardian Abroad, which was launched in 2007 but had been taken offline by 2012. The Guardian is printed in full colour,  and was the first newspaper in the UK to use the Berliner format for its main section, while producing sections and supplements in a range of page sizes including tabloid, approximately A4, and pocket-size (approximately A5). In 2004, The Guardian announced plans to change to a Berliner or "midi" format, similar to that used by Die Tageszeitung in Germany, Le Monde in France and many other European papers. At 470×315 mm, this is slightly larger than a traditional tabloid. Planned for the autumn of 2005, this change followed moves by The Independent and The Times to start publishing in tabloid (or compact) format. On Thursday, 1 September 2005, The Guardian announced that it would launch the new format on Monday 12 September 2005. Sister Sunday newspaper The Observer also changed to this new format on 8 January 2006. The format switch was accompanied by a comprehensive redesign of the paper's look. On Friday, 9 September 2005, the newspaper unveiled its newly designed front page, which débuted on Monday 12 September 2005. Designed by Mark Porter, the new look includes a new masthead for the newspaper, its first since 1988. A typeface family designed by Paul Barnes and Christian Schwartz was created for the new design. With just over 200 fonts, it is "one of the most ambitious custom type programs ever commissioned by a newspaper". Especially notable is Guardian Egyptian, a highly legible slab serif that is used in various weights for both text and headlines and is central to the redesign. The switch cost Guardian Newspapers £80 million and involved setting up new printing presses in east London and Manchester. This switch was necessary because, before The Guardian's move, no printing presses in Britain could produce newspapers in the Berliner format. There were additional complications, as one of the paper's presses was part-owned by Telegraph Newspapers and Express Newspapers , contracted to use the plant until 2009. Another press was shared with the Guardian Media Group's north-western tabloid local papers, which did not wish to switch to the Berliner format. The new format was generally well received by Guardian readers, who were encouraged to provide feedback on the changes. The only controversy was over the dropping of the Doonesbury cartoon strip. The paper reported thousands of calls and emails complaining about its loss; within 24 hours the decision was reversed and the strip was reinstated the following week. G2 supplement editor Ian Katz, who was responsible for dropping it, apologised in the editors' blog saying, "I'm sorry, once again, that I made you—and the hundreds of fellow fans who have called our helpline or mailed our comments' address—so cross." However, some readers were dissatisfied as the earlier deadline needed for the all-colour sports section meant coverage of late-finishing evening football matches became less satisfactory in the editions supplied to some parts of the country. The Comment is Free section features columns by the paper's journalists and regular commentators, as well as articles from guest writers, including readers' comments and responses below. The section includes all the opinion pieces published in the paper itself, as well as many others that only appear online. Censorship is exercised by Moderators who can ban posts – with no right of appeal – by those who they feel have overstepped the mark. The Guardian has taken what they call a very "open" stance in delivering news, and have launched an open platform for their content. This allows external developers to easily use Guardian content in external applications, and even to feed third-party content back into the Guardian network. The Guardian also had a number of talkboards that were noted for their mix of political discussion and whimsy until they were closed on Friday, 25 February 2011 after they had settled a libel action brought after months of harassment of a conservative party activist. They were spoofed in The Guardian's own regular humorous Chatroom column in G2. The spoof column purported to be excerpts from a chatroom on permachat.co.uk, a real URL that pointed to The Guardian's talkboards. In August 2013, a webshow titled Thinkfluencer  was launched by Guardian Multimedia in association with Arte . "GuardianFilms was born in a sleeping bag in the Burmese rainforest," wrote O'Kane in 2003. "I was a foreign correspondent for the paper, and it had taken me weeks of negotiations, dealing with shady contacts and a lot of walking to reach the cigar-smoking Karen twins– the boy soldiers who were leading attacks against the country's ruling junta. After I had reached them and written a cover story for the newspaper's G2 section, I got a call from the BBC's documentary department, which was researching a film on child soldiers. Could I give them all my contacts? The Guardian has been awarded the National Newspaper of the Year in 1998, 2005,  2010  and 2013  by the British Press Awards, and Front Page of the Year in 2002 ("A declaration of war", 12 September 2001). It was also co-winner of the World's Best-designed Newspaper as awarded by the Society for News Design (2006). In 2007, the newspaper was ranked first in a study on transparency that analysed 25 mainstream English-language media vehicles, which was conducted by the International Center for Media and the Public Agenda of the University of Maryland. It scored 3.8 out of a possible 4.0. The Guardian is the sponsor of two major literary awards: The Guardian First Book Award , established in 1999 as a successor to the Guardian Fiction Award , which had run since 1965, and the Guardian Children's Fiction Prize , founded in 1967. In recent years the newspaper has also sponsored the Hay Festival in Hay-on-Wye. The annual Guardian Student Media Awards , founded in 1999, recognise excellence in journalism and design of British university and college student newspapers, magazines and websites. The Guardian and its sister newspaper The Observer opened The Newsroom, an archive and visitor centre in London, in 2002. The centre preserved and promoted the histories and values of the newspapers through its archive, educational programmes and exhibitions. The Newsroom's activities were all transferred to Kings Place in 2008. Now known as the Guardian News & Media Archive, the archive preserves and promotes the histories and values of The Guardian and The Observer newspapers by collecting and making accessible material that provides an accurate and comprehensive history of the papers. The archive holds official records of The Guardian and The Observer and also seeks to acquire material from individuals who have been associated with the papers. As well as corporate records, the archive holds correspondence, diaries, notebooks, original cartoons and photographs belonging to staff of the papers. This material may be consulted by members of the public by prior appointment. There is also an extensive Manchester Guardian archive at the University of Manchester's John Rylands University Library and there is a collaboration programme between the two archives. 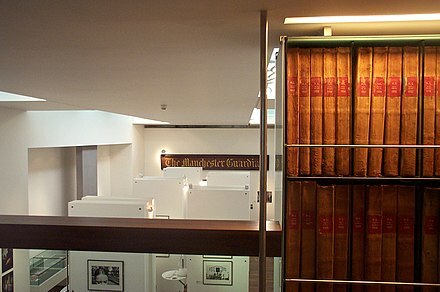 The British Library also has a large archive of The Manchester Guardian, available in online, hard copy, microform, and CD-ROM in their British Library Newspapers collection. ↑ Amie Tsang (15 January 2018). "The Guardian, Britain's Left-Wing News Power, Goes Tabloid". New York Times. Retrieved 24 January 2019. ↑ "The politics of UK newspapers". BBC News. 30 September 2009. Retrieved 24 January 2019. ↑ "The Guardian", ABC, November 2018. ↑ The Guardian News and Media Limited (26 July 2015). "The Scott Trust: values and history". The Guardian. Retrieved 20 December 2015. ↑ "Guardian appoints Katharine Viner as editor-in-chief | Media". The Guardian. 20 March 2015. Retrieved 6 March 2016. ↑ Rusbridger, Alan (2015-05-29). "'Farewell, readers': Alan Rusbridger on leaving the Guardian after two decades at the helm". The Guardian. Retrieved 29 May 2015. ↑ "National newspaper + online ABCs: Web figures in double-digit drop as print circulation falls across the board". Press Gazette. 13 November 2018. Retrieved 17 December 2018. 1 2 International Socialism , Spring 2003, ISBN 1-898876-97-5. 1 2 "Ipsos MORI". Ipsos MORI. Archived from the original on 23 May 2009. Retrieved 6 March 2016. 1 2 "What the papers say". BBC News. 17 October 2005. ↑ "Definition of Guardian Reader". Collins English Dictionary. Retrieved 10 January 2018. ↑ Marsh, David (23 August 2009). "Mind your language". The Guardian. ISSN 0261-3077 . Retrieved 23 December 2016. ↑ "The Guardian most trusted and The Sun least trusted online news brand, Pamco reveals". Press Gazette. 13 November 2017. Retrieved 17 December 2018. ↑ Waterson, Jim (17 December 2018). "Guardian most trusted newspaper in Britain, says industry report". The Guardian. Retrieved 17 December 2018. ↑ "Can the Guardian survive?". Intelligent Life. July–August 2012. ↑ Woolf, Nicky (3 July 2012). "Could the newspaper that broke the hacking scandal be the next to close?". GQ.com. Archived from the original on 6 July 2012. 1 2 Hosenball, Mark (6 June 2013). "Obama administration defends massive phone record collection". Reuters. Retrieved 6 March 2016. 1 2 Greenwald, Glenn (9 June 2013). "Edward Snowden: the whistleblower behind the NSA surveillance revelations | US news". The Guardian. Retrieved 6 March 2016. 1 2 Rawlinson, Kevin (2 April 2014). "Guardian wins newspaper and website of the year at British press awards". The Guardian. Retrieved 12 June 2014. ↑ Wainwright, Martin (13 August 2007). "Battle for the memory of Peterloo: Campaigners demand fitting tribute". The Guardian. London. Retrieved 26 March 2008. ↑ Editorial (4 May 2011). 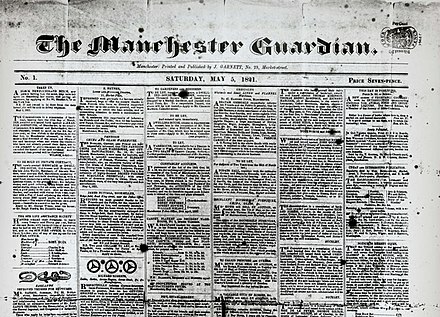 "The Manchester Guardian, born 5 May 1821: 190 years – work in progress". The Guardian. ↑ Manchester Gazette, 7 August 1819, quoted in Ayerst, David (1971). 'Guardian' : biography of a newspaper. London: Collins. p. 20. ISBN 978-0-00-211329-8. ↑ Harrison, Stanley (1974). Poor men's guardians : a record of the struggles for a democratic newspaper press, 1763–1973. London: Lawrence and Wishart. p. 53. ISBN 978-0-85315-308-5. ↑ "The Scott Trust: History". Guardian Media Group. Archived from the original on 28 July 2008. Retrieved 26 March 2008. ↑ "The Manchester guardian and British volunteer – JH Libraries". Catalyst.library.jhu.edu. Retrieved 6 March 2016. ↑ "Editorial". The Manchester Guardian. 28 January 1832. ↑ "Editorial". The Manchester Guardian. 26 February 1873. ↑ "Editorial". The Manchester Guardian. 27 April 1865. ↑ Hampton, Mark (2011). "The Press, Patriotism, and Public Discussion: C. P. Scott, the "Manchester Guardian", and the Boer War, 1899–1902". The Historical Journal. 44 (1): 177–197. JSTOR 3133966. 1 2 Purvis, June (13 November 2007). "Unladylike behaviour". The Guardian. London: Guardian News and Media. Retrieved 28 July 2009. ↑ Quoted in David Ayerst, The Guardian, 1971, p. 353. ↑ Arnold, Bruce (27 November 2012). "To the waters and the wild". Irish Independent. Dublin: Independent News & Media. Retrieved 4 June 2014. ↑ "The Scott Trust". The Guardian. Retrieved 2 September 2018. ↑ Leader (22 October 1951). "Time for change?". The Manchester Guardian. ↑ Kynaston, David (2007). Austerity Britain 1945–1951. London: Bloomsbury. p. 285. ISBN 978-0-7475-9923-4. ↑ Smith, Simon C. (2016). Reassessing Suez 1956: New Perspectives on the Crisis and Its Aftermath. Routledge. p. 230. ISBN 9781317070696. ↑ "Key moments in the Guardian's history: a timeline". The Guardian. 2017-11-16. Retrieved 2018-04-03. 1 2 3 Leader (1 February 1972). "The division deepens". The Guardian. London. ↑ "19 April 1972: 'Bloody Sunday' report excuses Army". On this day 1950–2005. BBC. 2008. Retrieved 28 July 2009. ↑ Bowcott, Owen (16 June 2010). "Bloody Sunday inquiry: 'We always knew the dead were innocent'". The Guardian. Retrieved 11 August 2013. ↑ Leader (20 April 1972). "To make history repeat itself". The Guardian. London. ↑ Routledge, Paul (16 January 1994). "Profile: Hunter of the truth: Lord justice Scott: With the Government rattled, Paul Routledge looks at the man John Major now has to face | Voices". The Independent. Retrieved 6 March 2016. ↑ Preston, Peter (5 September 2005). "A source of great regret". The Guardian. London. ↑ Leader (6 August 1990). "Choosing the best option". The Guardian. London. ↑ Leader (17 January 1991). "Suddenly the sky turns orange". The Guardian. ↑ Williams, Rhys (9 December 1994). "'Guardian' journalist recruited by the KGB". The Independent. Retrieved 5 April 2016. ↑ "CBSi". FindArticles. Archived from the original on 24 June 2012. Retrieved 6 March 2016. ↑ "'The simple sword of truth'". The Guardian. London: Guardian News and Media. 11 April 1995. Retrieved 25 May 2010. ↑ Harding, Luke; David Pallister (21 June 1997). "He lied and lied and lied". The Guardian. London: Guardian News and Media. ↑ "Aitken pleads guilty to perjury". BBC News. 19 January 1999. ↑ Kaldor, Mary (25 March 1999). "Bombs away! But to save civilians we must get in some soldiers too". The Guardian. London: Guardian News and Media. ↑ Dyer, Clare (6 December 2000). "A challenge to the crown: now is the time for change". The Guardian. London. ↑ Watt, Nicholas (7 December 2000). "Broad welcome for debate on monarchy". The Guardian. London. ↑ "Screen Burn, The Guide". The Guardian. London. 24 October 2004. ↑ "Full text of deleted article". Antinomian.com. 23 October 2004. Retrieved 28 July 2009. ↑ Aslam, Dilpazier (13 July 2005). "We rock the boat". The Guardian. London. ↑ "Background: the Guardian and Dilpazier Aslam". MediaGuardian. London: Guardian News and Media. 22 July 2005. ↑ Busfield, Steve (22 July 2005). "Dilpazier Aslam leaves Guardian". MediaGuardian. London: Guardian News and Media. ↑ "Tax Gap". Guardian. UK. 6 February 2009. Retrieved 28 July 2009. ↑ "Big business: what they make, what they pay". The Guardian. London: Guardian News and Media. 2 February 2009. Retrieved 25 May 2010. ↑ Jones, Sam; David Leigh (19 March 2009). "Guardian loses legal challenge over Barclays documents gagging order". The Guardian. London: Guardian News and Media. ↑ "Dear Limey assholes". The Guardian. London. 18 October 2004. Retrieved 13 May 2008. ↑ Bowers, Andy (4 November 2004). "A crazy British plot to help Kerry". Slate.com. Retrieved 6 March 2016. ↑ Leon Neyfakh (5 September 2007). "Guardian Reclaims America". Observer. Retrieved 6 March 2016. ↑ Kiss, Jemima (18 February 2009). "Michael Tomasky joins political journal Democracy". The Guardian. London: Guardian News and Media. ↑ "GNM Axing GuardianAmerica.com, Shuffling Execs In Restructure". Archived from the original on 24 June 2013. Retrieved 11 August 2013. ↑ Ali, Rafat. "Guardian News And Media Laying Off Six Employees In U.S." Archived from the original on 24 June 2013. Retrieved 11 August 2013. ↑ Guardian US (15 August 2012). "adds Josh Treviño to growing US team | Guardian US press office". The Guardian. Retrieved 6 March 2016. ↑ Treviño, Joshua (16 August 2012). "My 2011 Gaza flotilla tweet: a clarification". The Guardian. Retrieved 16 October 2014. ↑ Staff, Guardian (2011-09-14). "Guardian News & Media press release: Guardian unveils US url". The Guardian. Retrieved 22 July 2013. ↑ Jasper Jackson (1 June 2015). "Lee Glendinning appointed as editor of Guardian US | Media". The Guardian. Retrieved 6 March 2016. ↑ Table Office, House of Commons (12 November 2009). "Order Paper Part 2". Publications.parliament.uk. Retrieved 6 March 2016. ↑ Leigh, David (12 October 2009). "Guardian gagged from reporting parliament". The Guardian. London: Guardian News and Media. ↑ "Oral or Written Questions for Answer beginning on Wednesday 14 October 2009". UK Parliament. Archived from the original on October 16, 2009. ↑ Ponsford, Dominic (13 October 2009). "Guardian gagged from reporting Parliament". Press Gazette. London: Progressive Media International. Archived from the original on 13 May 2013. ↑ "Minton report: Trafigura toxic dumping along the Ivory Coast broke EU regulations, 14 Sep 2006". WikiLeaks. Retrieved 6 March 2016. ↑ Leigh, David (16 September 2009). "How UK oil company Trafigura tried to cover up African pollution disaster". The Guardian. London: Guardian News and Media. ↑ Leigh, David (13 October 2009). "Gag on Guardian reporting MP's Trafigura question lifted". The Guardian. London: Guardian News and Media. ↑ Rusbridger, Alan (14 October 2009). "The Trafigura fiasco tears up the textbook". The Guardian. London: Guardian News and Media. Retrieved 25 January 2010. ↑ Higham, Nick (13 October 2009). "When is a secret not a secret?". BBC News. Retrieved 25 January 2010. ↑ "Edward Snowden files: No 10 contacted Guardian – BBC News". Bbc.co.uk. 21 August 2013. Retrieved 6 March 2016. ↑ "Guardian's Alan Rusbridger tells of hard drive destruction | Video". Media.theage.com.au. 21 August 2013. Archived from the original on 4 March 2016. Retrieved 6 March 2016. ↑ Campbell, Duncan (3 June 2014). "Revealed: GCHQ's beyond top secret middle eastern internet spy base". The Register. ↑ Assange, Julian (10 January 2017). I am Julian Assange, founder of WikiLeaks – Ask Me Anything. Reddit. 68 minutes in. Retrieved 15 January 2017– via Twitch. ↑ Pompeo, Joe (27 November 2018). ""It Might Be the Biggest Get This Year": How The Guardian's Bombshell Set Off Its Own Little Media World War". Vanity Fair. ↑ Conlan, Tara (8 October 2008). "Guardian owner the Scott Trust to be wound up after 72 years". The Guardian. London: Guardian News and Media. Retrieved 10 October 2008. ↑ "Living Our Values: Social, Ethical and Environmental Audit 2006". Archived from the original on 6 October 2014. Retrieved 11 August 2013. 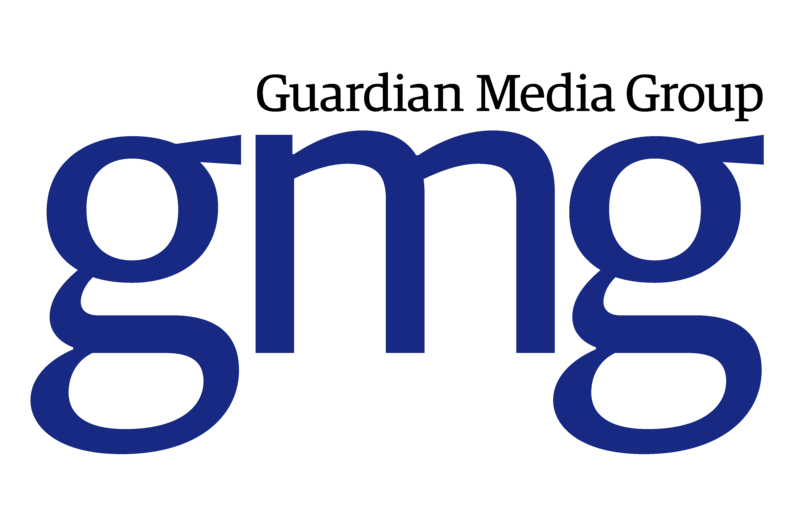 ↑ "Guardian Media Group 2005/06 results: 28/07/2006: A LANDMARK YEAR FOR GMG". Archived from the original on 21 August 2006. Retrieved 9 August 2006. 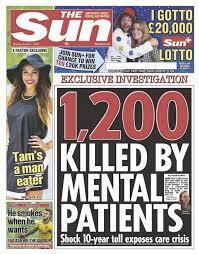 ↑ "Manchester Evening News sold by Guardian Media Group". Manchester Evening News. M.E.N. Media. 9 February 2010. Archived from the original on 19 July 2013. Retrieved 11 February 2010. ↑ Rayner, Gordon (18 June 2011). "Riches to rags as Guardian bleeds £33m in a year". London: The Daily Telegraph. Retrieved 21 October 2011. ↑ Sabbagh, Dan (16 June 2011). "Guardian and Observer to adopt 'digital-first' strategy". The Guardian. London: Guardian News and Media. Retrieved 21 October 2011. ↑ "Can The Guardian Survive?". More Intelligent Life. Retrieved 11 August 2013. ↑ Jane Martinson (25 January 2016). "Guardian News & Media to cut costs by 20 per cent | Media". The Guardian. Retrieved 6 March 2016. ↑ "Support the Guardian". support.theguardian.com. Retrieved 2018-08-03. ↑ "Guardian Media Group plc (GMG) results for the financial year ended 1 April 2018". The Guardian. 24 July 2018. ↑ Mance, Henry (10 September 2014). "Guardian launches paid membership scheme". FT.com. Retrieved 6 March 2016. ↑ "Join Choose Tier – The Guardian Members". theguardian.com. Retrieved 16 October 2016. ↑ Viner, Katharine (12 November 2018). "The Guardian's reader funding model is working. It's inspiring". The Guardian. Retrieved 12 November 2018. ↑ "Could The Guardian's quest for philanthropic support squeeze out other news nonprofits?". Nieman Lab. Retrieved 2018-08-06. ↑ Center, Foundation. "Guardian Announces Launch of U.S. Nonprofit". Philanthropy News Digest (PND). Retrieved 2018-08-06. ↑ "OPP1034962". Bill & Melinda Gates Foundation. Retrieved 2018-08-08. ↑ Schiffrin, Anya (2015). "Can We Measure Media Impact? Surveying the Field". Stanford Social Innovation Review (Fall 2015 ed.). Warrendale, PA.
↑ Frederick Engels, The Condition of the Working Class in England, Progress, 1973, p 109. ↑ Ian Hunter (2003). Malcolm Muggeridge: A Life. Regent College Publishing. p. 74. ISBN 978-1-57383-259-5. ↑ "The Scott Trust: values and history". The Guardian. 26 July 2015. Retrieved 19 April 2016. 1 2 "Political affiliation". The Guardian. 16 November 2008. Retrieved 19 April 2016. ↑ Leader (2 July 1994). "Labour: the choice for the future". The Guardian. London. ↑ Leader (2 May 1997). "A political earthquake: The Tory loss is cataclysmic; Labour's win historic". The Guardian. London. ↑ "Iraq: the case for decisive action". The Guardian. 19 January 2003. ↑ Greenslade, Roy (2003-03-17). "They've lost the battle, will they support the war?". The Guardian. ↑ Wells, Matt (16 October 2004). "World writes to undecided voters". The Guardian. London. Retrieved 13 July 2008. ↑ Ashley, Jackie (29 April 2008). "Are the Guardianistas rats?". The Guardian. London: Guardian News and Media. Retrieved 13 July 2008. ↑ "Magic or not, let in the daylight". London. 6 December 2000. Retrieved 14 November 2013. ↑ Seddon, Mark (21 February 2005). "Smaller size, higher brow?". New Statesman. London. Archived from the original on 12 March 2010. ↑ Seaton, Matt (23 April 2010). 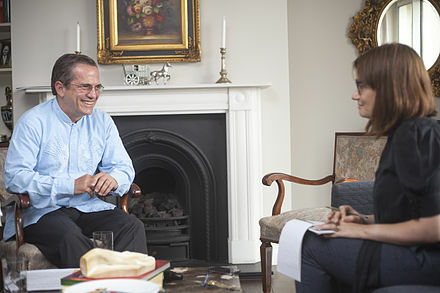 "The Guardian's election editorial meeting: report". The Guardian. London: Guardian News and Media. ↑ Editorial (30 April 2010). "General election 2010: The liberal moment has come". The Guardian. London: Guardian News and Media. Retrieved 25 May 2010. ↑ Editorial (1 May 2015). "The Guardian view: Britain needs a new direction, Britain needs Labour". The Guardian. London: Guardian News and Media. Retrieved 1 May 2015. ↑ White, Michael (9 March 2011). "Media self-censorship: not just a problem for Turkey". The Guardian. London: Guardian News and Media. ↑ "'Comandante' Chavez Still Revered By Some, Despite Failings". NPR. 10 April 2013. Retrieved 11 March 2015. ↑ Editorial (2015-08-13). "The Guardian view on Labour's choice: Corbyn has shaped the campaign, but Cooper can shape the future". The Guardian. ↑ Sinclair, Ian (19 October 2015). "Guardian On The Wrong Side Of History Over Corbyn". The Morning Star. Archived from the original on 10 April 2016. Retrieved 30 March 2016. ↑ Editorial. "The Guardian view on the election: it's Labour". The Guardian. ISSN 0261-3077 . Retrieved 2018-09-19. ↑ Sela, Hadar. "ANTI-ZIONIST AND ANTISEMITIC DISCOURSE ON THE GUARDIAN'S COMMENT IS FREE WEBSITE". MERIA Journal. Archived from the original on 13 July 2010. Retrieved 18 May 2016. ↑ Ponsford, Dominic (12 August 2014), "Guardian accused of pro-Israel bias after carrying 'child sacrifice' ad rejected by The Times", PressGazette. ↑ Burchill, Julie (29 November 2003). "Good, bad and ugly". The Guardian. London. ↑ MacAskill, Ewen (4 December 2003). "Leaked report shows rise in anti-semitism". The Guardian. London. ↑ "Anti-Semitism in the EU: United Kingdom". Jewish Virtual Library. Retrieved 6 March 2016. ↑ "Leader: A new anti-semitism?". The Guardian. London. 26 January 2002. Retrieved 25 January 2010. ↑ "News coverage". The Guardian. London. Retrieved 25 May 2010. ↑ Elliott, Chris (6 November 2011). "The readers' editor on ... averting accusations of antisemitism". The Guardian. Retrieved 3 October 2012. 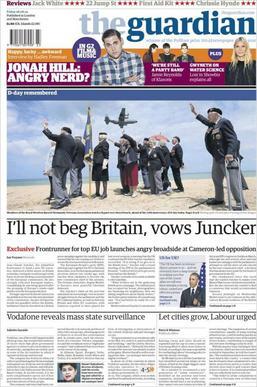 ↑ "The Guardian seeks to revise history". Arutz Sheva. Retrieved 16 October 2014. ↑ Meredith Carey (7 August 2014). "The Guardian Accepts Elie Wiesel's Rejected London Times Advertisement – Observer". Observer. Retrieved 24 March 2016. ↑ Elliott, Chris (18 August 2014). "The readers' editor on... the decision to run This World's advertisement". theguardian.com . Retrieved 22 August 2014. ↑ "The Guardian's Summary of Julian Assange's Interview Went Viral and Was Completely False". The Intercept . 29 December 2016. ↑ Jacobs, Ben (24 December 2016). "Julian Assange gives guarded praise of Trump and blasts Clinton in interview". The Guardian. ↑ "Security researchers call for Guardian to retract false WhatsApp "backdoor" story". TechCrunch. 20 January 2017. ↑ Moxie Marlinspike (13 January 2017). "There is no WhatsApp 'backdoor'". Today, the Guardian published a story falsely claiming that WhatsApp's end to end encryption contains a "backdoor." ↑ Chadwick, Paul (2017-06-28). "Flawed reporting about WhatsApp | Open door | Paul Chadwick". the Guardian. Retrieved 2018-01-18. ↑ Ganguly, Manisha (2017-01-13). "WhatsApp design feature means some encrypted messages could be read by third party". the Guardian. Retrieved 2018-01-18. ↑ "Woman held in Dubai with daughter after drinking wine on flight". The Guardian. 10 August 2011. ↑ Duncan, Gillian (9 September 2018). "Alcohol is 'not prohibited' on flights to Dubai, says Emirates". The National. ↑ "Statement by the Attorney General of Dubai, regarding the case involving a Swedish national with her daughter at Dubai International Airport". Government of Dubai Media Office. 11 August 2018. ↑ "Deported Swede Ellie Holman concedes she made visa 'mistake' at Dubai airport". The National. 16 August 2018. ↑ Denman, Selina (16 August 2018). "Is the coverage of the deported Swedish woman anything more than fake news?". The National. ↑ "Swedish Woman Detained in Dubai – Don't Believe Everything You Read". truepublica.org.uk. 13 August 2018. ↑ Monbiot, George (2018-08-15). "We're in a new age of obesity. How did it happen? You'd be surprised | George Monbiot". The Guardian. ISSN 0261-3077 . Retrieved 2019-03-10. ↑ "George Monbiot blames the government for rising obesity levels – there's a simpler explanation". Spectator Health. 2018-08-15. Retrieved 2019-03-10. ↑ "George Monbiot says obesity is an 'incurable disease'. Here is what's wrong with his evidence". Spectator Health. 2015-08-12. Retrieved 2019-03-10. ↑ "Familia's Food Survey 2016/17". ↑ Corrections; editor, clarifications column (2018-12-09). "Corrections and clarifications". The Guardian. ISSN 0261-3077 . Retrieved 2019-03-10. ↑ Durrani, Arif (3 August 2013). "NEWSPAPER ABCs: Guardian hits historic low in February following 20p price hike – Media news". Media Week. Retrieved 6 March 2016. ↑ "Print ABCs: Metro overtakes Sun in UK weekday distribution, but Murdoch title still Britain's best-selling paper". Press Gazette. 2017-06-15. Retrieved 11 July 2017. ↑ "Manchester Guardian". Spartacus-educational.com. Retrieved 6 March 2016. ↑ David., Ayerst (1971). The Manchester Guardian; biography of a newspaper. Ithaca, N.Y.: Cornell University Press. ISBN 978-0801406423. OCLC 149105. ↑ "Tuesday's morning conference". The Guardian. UK. 13 September 2007. Retrieved 11 February 2007. ↑ Cozens, Claire (1 September 2005). "New-look Guardian launches on September 12". MediaGuardian. London: Guardian News and Media. ↑ Crossgrove, Carl. "Guardian: review". Typographica. Retrieved 11 July 2015. ↑ Paul A Barnes; Christian E Schwartz (15 November 2006). "Does type design matter in newspapers?". FontShop Benelux. Archived from the original on 4 June 2012. Retrieved 26 July 2012. ↑ "Guardian Reborn, The Guardian". Archived from the original on 12 February 2007. Retrieved 5 May 2017. CS1 maint: BOT: original-url status unknown (link). Retrieved on 22 July 2007. ↑ Cozens, Claire (13 January 2006). "Telegraph sales hit all-time low". MediaGuardian. London: Guardian News and Media. ↑ "Guardian, Telegraph and FT post modest sales rises in December". London: Guardian News and Media. 11 January 2013. ↑ Busfield, Steve (21 February 2006). "Guardian wins design award". MediaGuardian. London: Guardian News and Media. 1 2 Sweney, Mark (13 June 2017). "The Guardian and The Observer to relaunch in tabloid format". The Guardian. ↑ Viner, Katharine; Pemsel, David (13 June 2017). "Guardian journalism goes from strength to strength. It's just our shape that's changing". The Guardian. ↑ Tsang, Amie (15 January 2018). "The Guardian, Britain's Left-Wing News Power, Goes Tabloid". The New York Times. 1 2 Chadwick, Paul (29 April 2018). "Three months on, the tabloid Guardian is still evolving". The Guardian. Retrieved 27 September 2018. ↑ Letters (2018-07-15). "We've got the Guardian masthead blues and we're overjoyed | Letters". The Guardian. ISSN 0261-3077 . Retrieved 2019-01-18. ↑ Bell, Emily (8 October 2005). "Editor's week". The Guardian. London. ↑ "Guardian.co.uk most read newspaper site in UK in March". www.journalism.co.uk. 2013-05-30. Retrieved 17 June 2014. ↑ Durrani, Arif (19 April 2011). "MailOnline overtakes Huffington Post to become world's no 2". MediaWeek. Haymarket. Archived from the original on 13 May 2013. ↑ Edge, Abigail (Dec 2, 2014). "Ophan: Key metrics informing editorial at the Guardian". Journalism.co.uk. ↑ Bunz, Mercedes (14 December 2009). "Guardian launches iPhone application". The Guardian. Retrieved 14 October 2018. ↑ Mitchell, Jon (7 September 2011). "The Guardian Launches a Powerful, Free Android App". readwrite. Retrieved 14 October 2018. ↑ "Guardian launches digital redesign to coincide with launch of new Guardian tabloid newspaper". The Guardian. 15 January 2018. Retrieved 14 October 2018. ↑ "The Guardian: I'm impressed". idio . 1 June 2010. Archived from the original on 16 January 2013. Retrieved 26 July 2010. ↑ editor, Corrections and clarifications column (8 March 2011). "Corrections and clarifications". The Guardian. Retrieved 2018-06-27. ↑ Gibson, Janine (28 February 2011). "Guardian Unlimited Talkboard closure". The Guardian. London: Guardian News and Media. ↑ "#Thinkfluencer episode 1: Selfies – video | Technology". The Guardian. 23 August 2013. Retrieved 6 March 2016. ↑ "Online Dating Site UK | Guardian Soulmates". Soulmates.theguardian.com. Retrieved 6 March 2016. ↑ Deans, Jason (8 December 2005). "Gervais to host Radio 2 Christmas show". MediaGuardian. London: Guardian News and Media. ↑ "Comedy stars and radio DJs top the download charts". The Guardian. London. 23 January 2006. ↑ Plunkett, John (6 February 2006). "Gervais podcast in the record books". MediaGuardian. London: Guardian News and Media. ↑ "Films". The Guardian. UK. 12 February 2009. Retrieved 28 July 2009. ↑ "Maggie O'Kane: Bringing the Guardian's Ethos to Tv". Buzzle.com. 7 November 2003. Archived from the original on 28 February 2004. Retrieved 28 July 2009. ↑ "Films homepage". Guardian. UK. 12 February 2009. Retrieved 2 May 2010. 1 2 Salih, Omar; Summers, Ben (28 January 2008). "Excerpt from Baghdad: A Doctor's Story". The Guardian. London: Guardian News and Media. Retrieved 25 May 2010. ↑ Smith, Sean; Nzerem, Keme; Ulleri, Giovanni (18 August 2009). "On the frontline with British troops in Afghanistan". The Guardian. London: Guardian News and Media. Retrieved 25 May 2010. ↑ "Guardian film-maker wins Royal Television Society award | Media". The Guardian. 20 February 2008. Retrieved 6 March 2016. ↑ "GuardianFilms Awards". The Guardian. London. 16 February 2009. Retrieved 25 May 2010. ↑ Sherrin, Ned (16 December 2000). "Surely shome mishtake?". The Guardian. London. ↑ Bernhard, Jim (2007). Porcupine, Picayune, & Post: how newspapers get their names. University of Missouri Press. pp. 26–27. ISBN 978-0-8262-1748-6 . Retrieved 11 August 2013. ↑ "unknown". Encounter. Congress for Cultural Freedom. 58: 28. 1982. This article refers to the paper by the facetious name: The Grauniad. ↑ Devlin, Keith (1 March 1984). "Prime beef: Mathematical micro-mysteries: Keith Devlin returns to prime time computation". The Guardian. London. Reprinted in Devlin, Keith (1994). "Prime beef"". All the Math That's Fit to Print: Articles from The Guardian. Cambridge University Press. p. 42. ISBN 978-0-88385-515-7 . Retrieved 11 August 2013. ↑ McKie, David (8 November 2013). "John Cole obituary". The Guardian. Retrieved 8 November 2013. 1 2 3 "British Press Awards: Awards Ceremony – 23rd March 2010: 2010 Winners Announced". Archived from the original on 16 June 2011. Retrieved 7 February 2016. 1 2 3 Guardian staff (6 April 2011). "Press Awards 2011: Guardian wins Newspaper of the Year". The Guardian. London. ↑ Wells, Matt (20 March 2002). "Guardian triumphs at Press Awards". The Guardian. London: Guardian News and Media. ↑ office, GNM press (2018-02-27). "The Guardian wins seven Sports Journalists' Association awards". The Guardian. ISSN 0261-3077 . Retrieved 2019-01-23. ↑ "2013 British Sports Journalism Awards – Sports Journalists' Association" . Retrieved 2019-01-23. ↑ sport, Guardian (2017-02-27). "Double honours for Daniel Taylor as the Guardian wins four SJA awards". The Guardian. ISSN 0261-3077 . Retrieved 2019-01-23. ↑ "2014 British Sports Journalism Awards – Sports Journalists' Association" . Retrieved 2019-01-23. ↑ "2015 BRITISH SPORTS JOURNALISM AWARDS – Sports Journalists' Association" . Retrieved 2019-01-23. ↑ "The Webby Awards". Archived from the original on 8 April 2011. Retrieved 24 March 2016. ↑ "The 2006 Newspaper Awards". Archived from the original on 3 February 2004. Retrieved 29 May 2006. ↑ "Openness & Accountability: A Study of Transparency in Global Media Outlets". Archived from the original on 15 May 2008. Retrieved 19 June 2008. ↑ "The Paul Foot award for Campaigning Journalism 2007". Archived from the original on 30 September 2007. Retrieved 16 October 2007. ↑ "The 100 best footballers in the world 2017". The Guardian. Guardian Media Group. 19 December 2017. Retrieved 9 January 2018. ↑ "The 100 greatest non-fiction books". The Guardian. 14 June 2011. Retrieved 26 September 2017. ↑ "Guardian 100 Greatest Non-Fiction Book awards". LibraryThing . Retrieved 26 September 2017. ↑ McCrum, Robert (2017). "100 Best Nonfiction Books of All Time". The Guardian. Retrieved 26 September 2017. ↑ "Comment, opinion and discussion from the Guardian US | The Guardian". Commentisfree.guardian.co.uk. 1 January 1970. Retrieved 6 March 2016. ↑ Villani, Lisa (20 August 2009). "MIC: GNM archive (microsite)". The Guardian. London. ↑ "MIC: GNM archive (microsite)". The Guardian. London. 26 August 2009. Wikimedia Commons has media related to The Guardian .